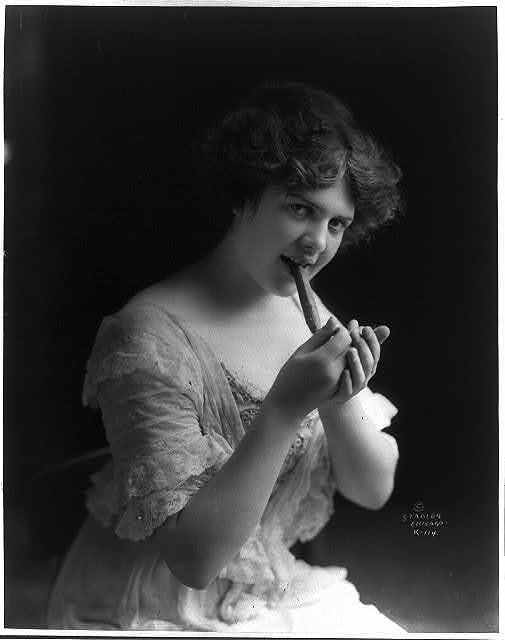 Julia Maria Teeple sold cigars to businesses across Iowa but it’s uncertain if, like the woman pictured here, she smoked them. “I would rather be a chambermaid in a livery stable than a doorkeeper in a church,” Julia Maria Teeple of Baldwin, Iowa, explained when asked about her unusual profession as a livery manager in 1894. At the age of 7 Julia worked in the fields of her family’s farm. She preferred outdoor work to housework partly because the family employed a “cross” housekeeper whom Julia tried to avoid. As an adult, Julia developed a fondness for horses when she and her sister ran a farm “unaided and alone.” That love of horses was intensified when she was hired by Charles B. Tozer to run his livery business. As manager of the only livery in Baldwin (population 400), Julia tended the horses of traveling sales people and provided a taxi service. When anyone needed a lift to a neighboring town, Julia hitched up and drove the team herself. Calmly laying down the reins, Julia grasped her customer by the nape of the neck and his trousers and pitched him head first into the mud. Turning the team around in the middle of the road, she headed back to Baldwin. The salesman had to walk over a mile on muddy roads to the nearest farmhouse, where the farmer hitched up a team and took him into Monmouth. In addition to her livery job, Julia sold cigars for F. Doubrawa, a cigar manufacturer in Maquoketa. As a traveling salesperson herself, Julia took orders from businesses all over the state. This sometimes required her to go into saloons to showcase her samples. But she was quick to tell people it was for business purposes only. Although Julia made a living in traditional male professions, she made a point of maintaining certain feminine qualities. She said she never wore boots, drank, played billiards, or swore. She admitted that occasionally she did use “harmless slang” as “many other girls” did at the time. And although she never chewed tobacco, she didn’t say if she smoked cigars. 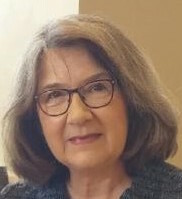 “Everybody came from somewhere, as nobody was born and raised here,” John F. Fish said in 1914 when the elderly Wapello County pioneer sat down to visit with a local newspaper reporter. John was reminiscing about Iowa in the 1830s—before statehood.